RENTON, Wash. -- A wayward bear is attracted a lot of attention Wednesday after climbing a tree next to a Washington state elementary school. 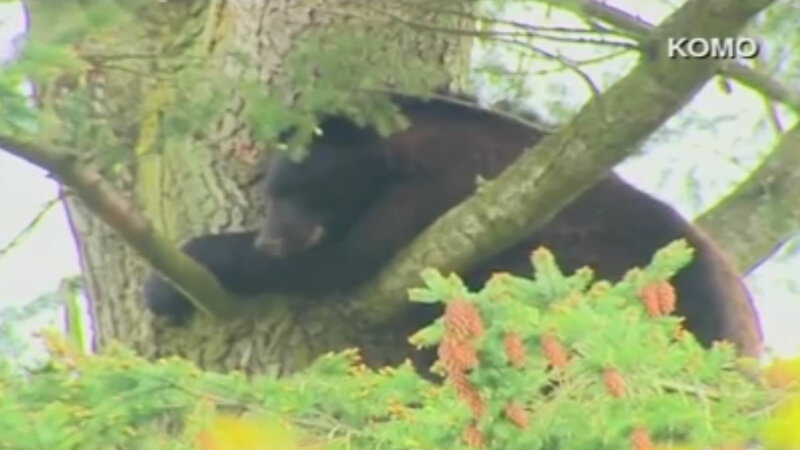 The bear lounged around, appearing to be in no hurry to come down from its perch above the school in Renton, just south of Seattle. The animal did not appear to pose a threat to the school children, but students were kept far away from the tree as a precaution. State fish and wildlife officials are keeping a close eye on the animal as well.